Watercolor resist is a technique that artists use to create interesting effects in their paintings. The basic idea is that wax or oil will resist water-based paints; the paint won’t stick to it. You can use this technique to create beautiful paintings of ocean life or anything else your imagination can dream up. 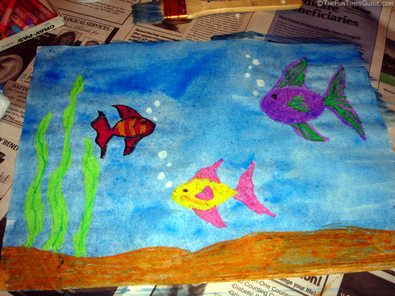 All you need is good thick drawing paper, oil pastels or crayons, blue tempera paint, a paper cup, and a foam paint brush. I personally prefer oil pastels. These are messier on your hands, but you don’t have to bear down as hard to get nice bright colors. #2 Place some newspaper or a plastic table cloth on your work surface. You can get plastic tablecloths at the dollar store. They are well worth the investment since spills can happen anytime. #3 Use the crayons or oil pastels to draw several different kinds of fish. #4 Add buried treasure in your ocean. 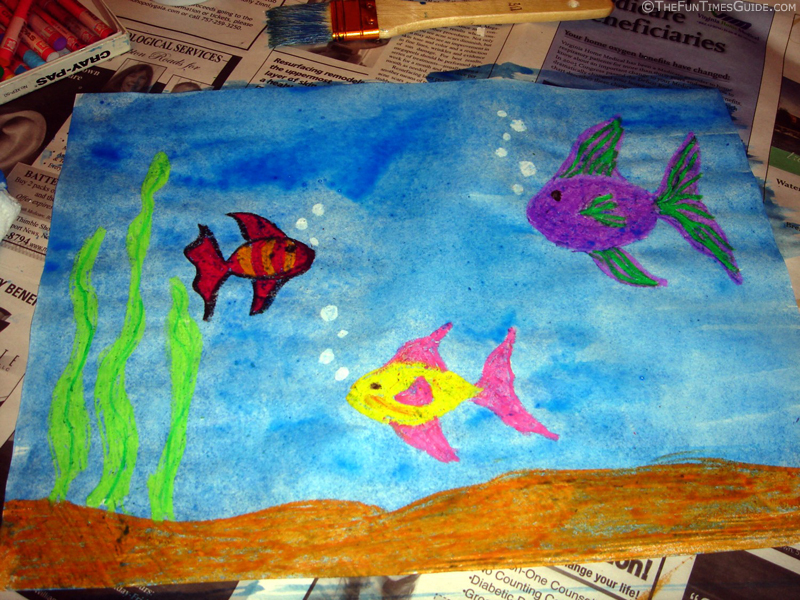 Draw fun things under the water. What about a sunken pirate ship? The only limits here are your imagination. 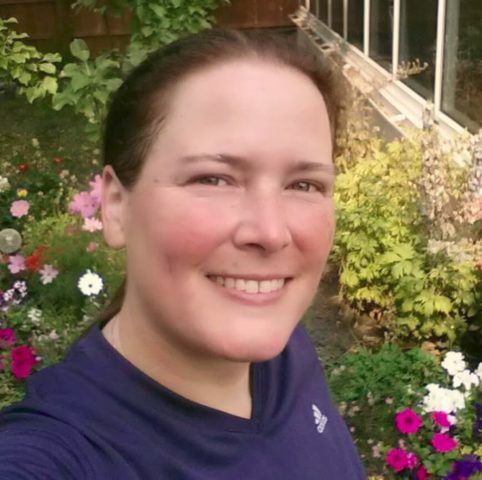 Just don’t color the background… that comes in later. Remember: any places that you want to stay white must be colored white. #5 Pour a small amount of the blue tempera paint into a paper cup. Do this after you have your underwater picture completely drawn (minus the background). You will need less than a teaspoon of the paint. Add some water and mix it with a paint brush until it looks like thick Kool-aid. 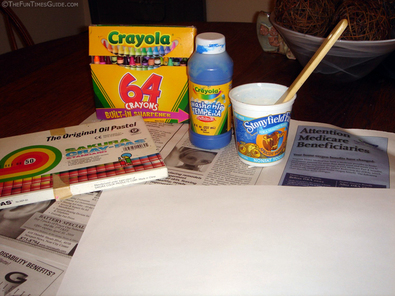 #6 Use your foam brush to paint right over your drawing. Watch with amazement while the paint magically sticks to the bare paper… and not to the drawing! 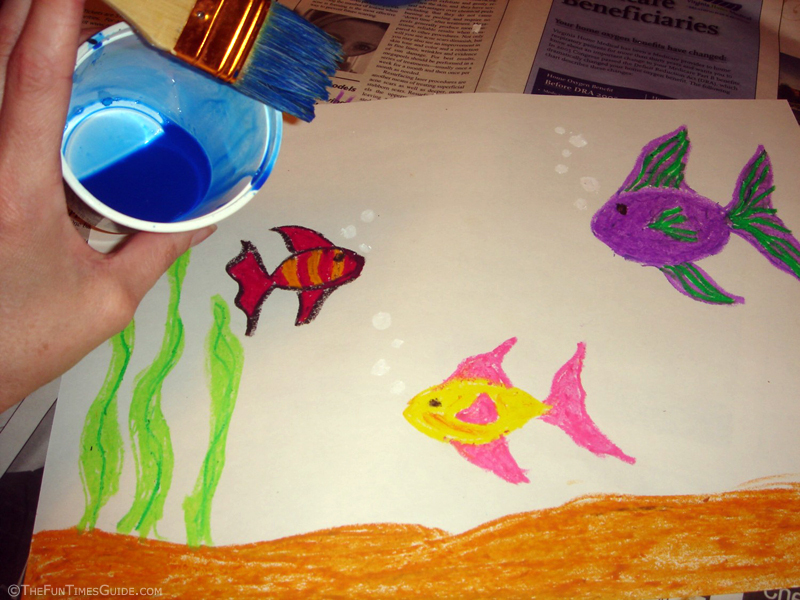 #7 Use a paper towel to blot any places where the paint pools up on the drawing. When you are finished, just let your painting dry completely on the plastic cloth. Finally, hang it up and enjoy! Now that you know how it’s done, see how many different ways you can think of to use this painting technique.